Those sweet summer days are winding down and we can already see the effects of days that are a bit shorter up north. Our son had to work at 6 am the other day and he was not impressed when the sun wasn’t up at 5 am when he woke. Next week school starts for our youngest and oldest (JH and last year of University). The summer sun will soon give way to autumn. But, today I thought I’d take one last grab at summer since we’re going to have a toasty week here again. 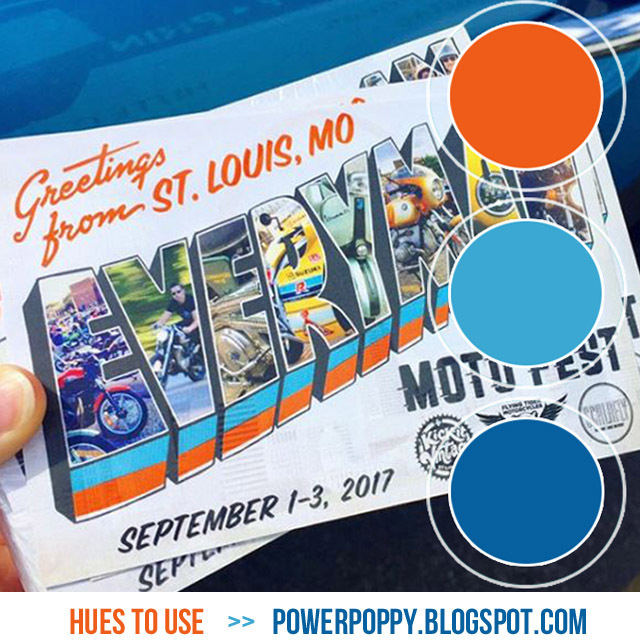 This week’s Hues to Use from Power Poppy is a fun combination, and you could go a lot of different directions with it. I’m choosing the summery sun and cool water route! I started with Power Poppy’s set, Best Day Ever. That beachy scene with a book always looks so inviting to me. 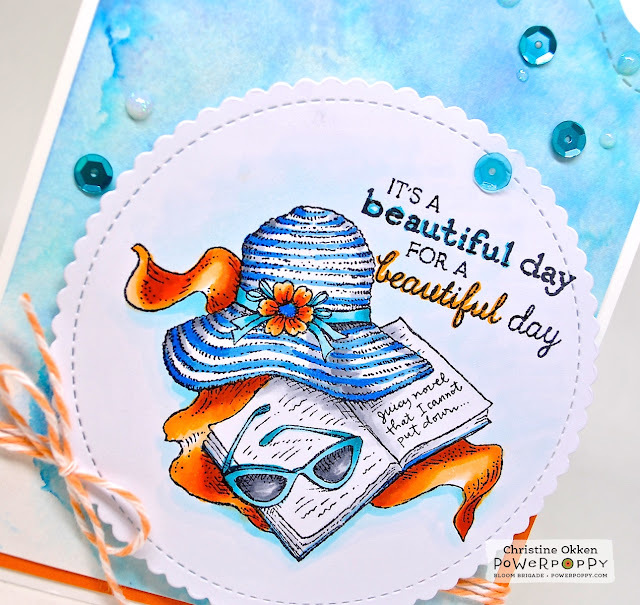 Stamped on Copic XPress It paper and coloured up with Copics to match this week’s Hues to Use. I placed it on a sheet of watercolor paper that I smooshed some shades of blue onto, sprinkling with some course salt to get that mottled effect when it was wet. I cut the top of the design with TCP’s Beaches CutUps Die. Some twine, some sequins and some Iridescent Nuvo Glitter Drops finish it off. Jump on in with us in the Hues to Use Challenge and you could win a guest spot on a future Hues to Use. We put you in the spotlight and you get a fun new digital image to create with. See the Power Poppy Blog today for more fun inspiration! This is so fun and perky Ms. Christine! I love the way the top of your card looks like the foamy waves coming in -- makes me dream of a day at the beach! Hope life is good with you sweet lady! Oooh, nice smooshing and Copic coloring combo! I'm not ready to let go of summer! Love those beautiful vibrant colors!